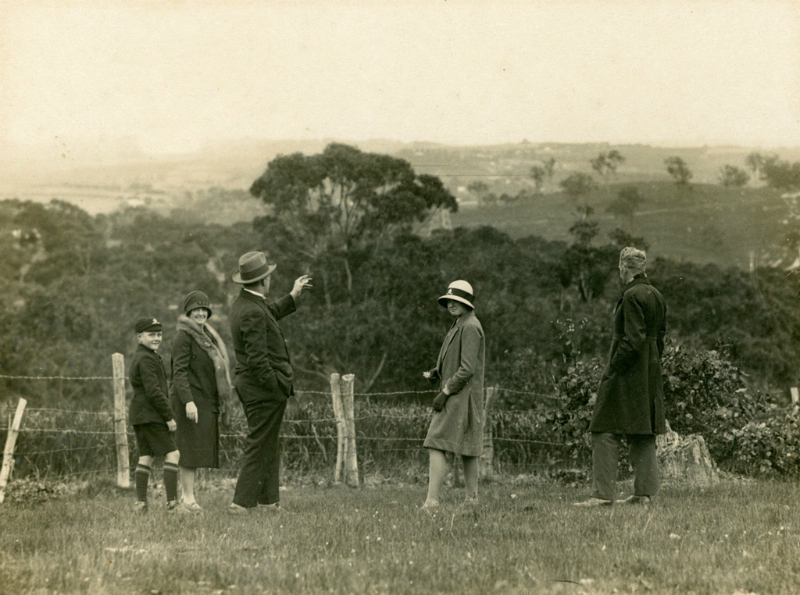 In the early 1880s a few enthusiasts started playing golf on the hills at Eaglemont, Heidelberg. 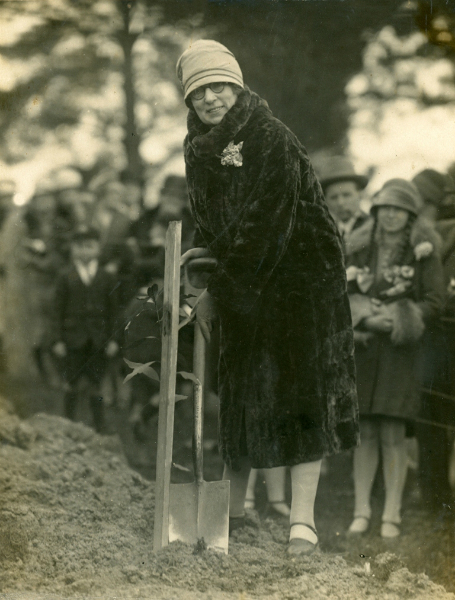 Nine holes were laid out on the land owned by Mr. Davies and others and the Eaglemont Golf Club came into being. In May, 1911 a site was purchased at Rosanna, the Contract of Sale was signed for 101 acres including ten acres with a cottage erected on it. The total price was £4213. 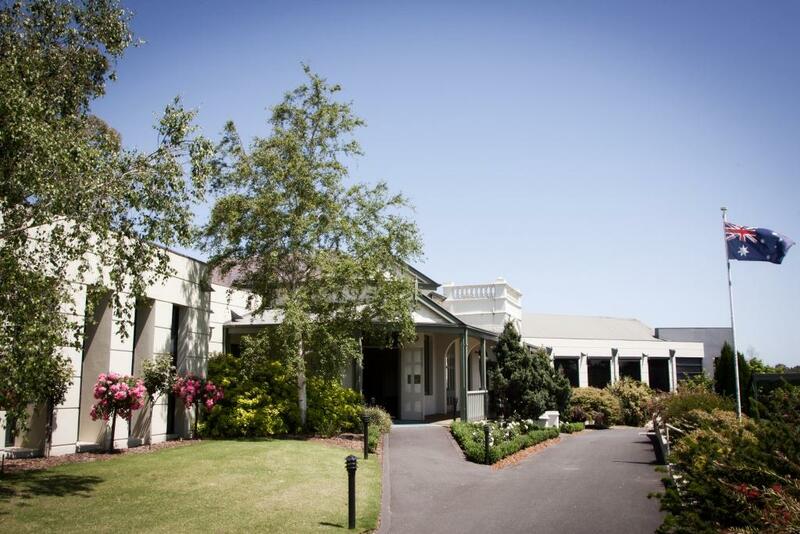 The name of the Club was changed to Yarra Yarra Golf Club, and the opening of the Links took place on the 25th November 1911. 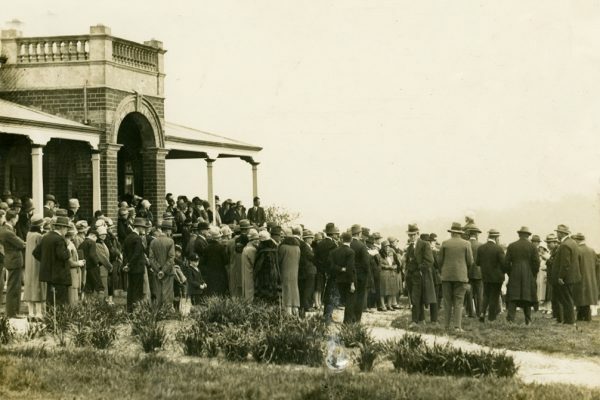 A General Meeting of the Club was held on February 7th, 1927, and it was resolved that the Club transfer to the sand belt at Oakleigh. A number of prominent local citizens were passionately against the idea, and considerable feeling with some bitterness was the consequence.Men such as D.J. 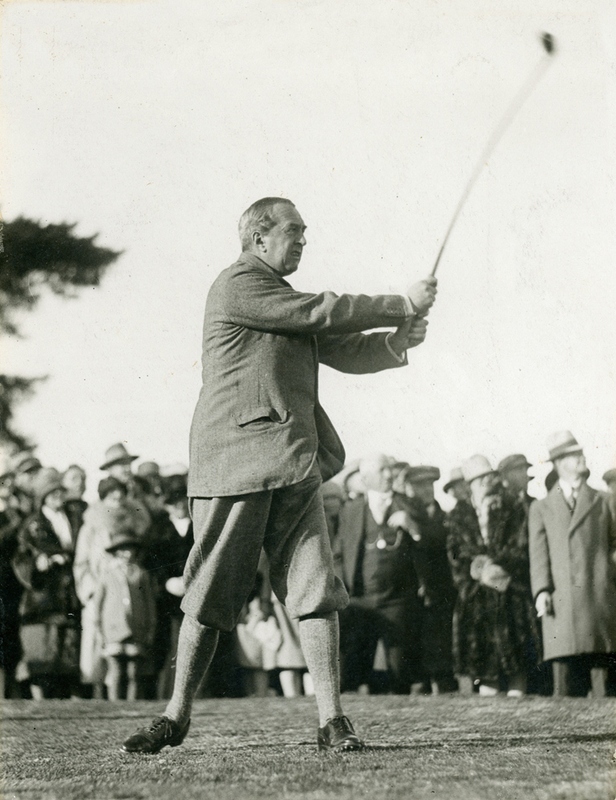 Chandler, W. Hooper and Colonel Garrard wanted a course to provide golf for those in the northern suburbs. So determined were they to see this happen, that they formed a company with that express purpose. Fortunately, The Late Mrs Thomas’s “Bryn Teg” Property Of 177 Acres Was On The Market. 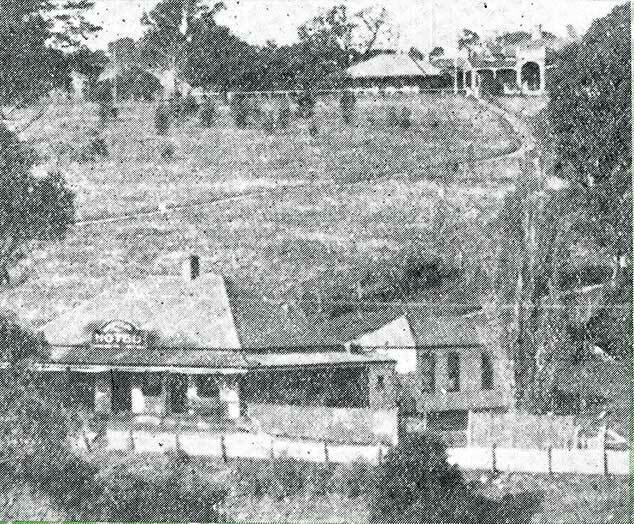 The Land, 11 Miles From Melbourne, 4 Miles From Heidelberg And 1 ½ Miles From Montmorency And Greensborough Railway Stations Was Purchased By The Heidelberg Club House Co. Ltd. For £13,000. For this sum, in addition to the land, there had been obtained the Plenty Bridge Hotel (pictured below in foreground); a fine brick homestead “Bryn Teg” a Welsh name meaning “Small Hills” (pictured right in background), erected in 1880 which it was felt would make a delightful clubhouse, and also the original cottage erected in 1840. Reporting this in the “Sporting Globe” P.A.R. 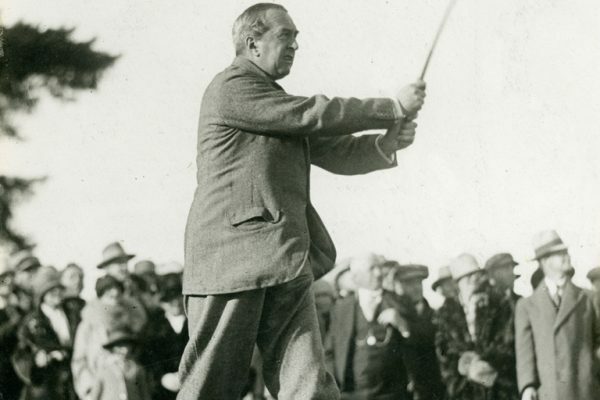 also mentioned that Harry Alexander, the talented greenkeeper of the Yarra Yarra Golf Club will take control from June 27th, 1927 and work would commence immediately setting out the new Links. 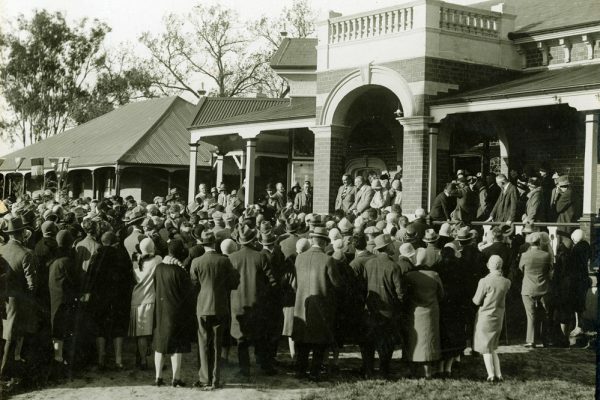 This is how Heidelberg Golf Club came into being. John Brown came to Australia on the ship “James Morgan” in 1841, landing in N.S.W. and coming to Melbourne a fortnight later. He lived at Glenferrie for 18 months, and then moving to the Heidelberg district, he rented 260 acres of land for seven years. In 1855 he moved to Lower Plenty, two miles further on where he purchased the Preston Hall Estate of 365 acres, the land at the time being all bush. 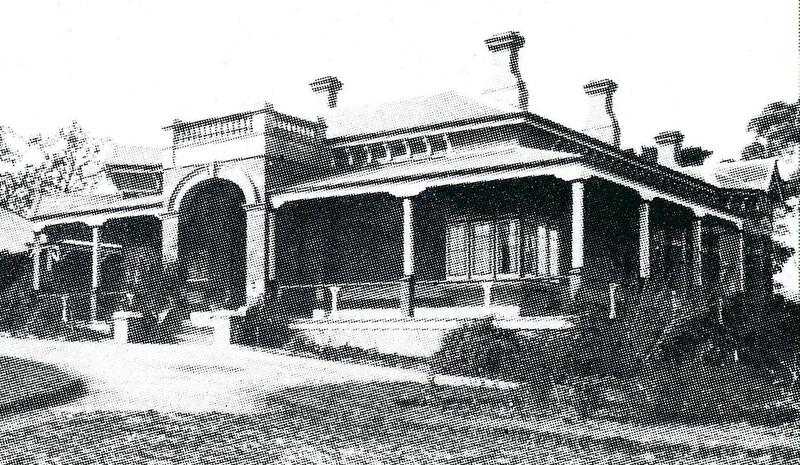 When he had done all the clearing, fencing, subdividing etc, he carried on dairying and general agricultural work until 1886, when he sold the property to Mr. David Thomas and Mrs. Thomas who were well known Melbourne identities, being the “Thomas” in the retail business Craig Williamson and Thomas on the corner of Elizabeth and Flinders Street. 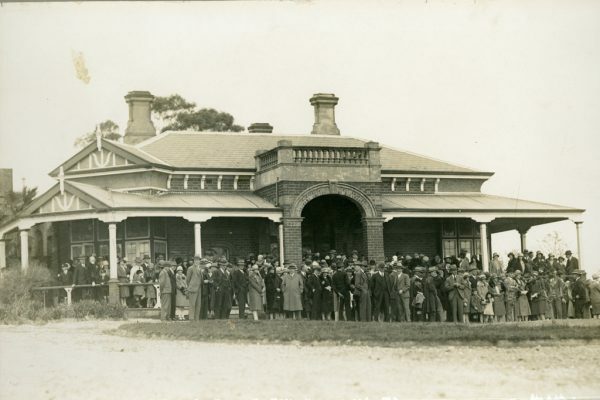 The Heidelberg Club House Co. Ltd. purchased 177 acres of this property in 1927, and commenced construction of the first 12 holes of the new Links. In 1960 to help the Club finances 3 ½ acres, being 10 building blocks fronting Old Eltham road were sold for £15,700. A further ½ acre in Rosehill road, not part of the course, was sold for $18,000. In 1967 the Club purchased 1/5 acre fronting Lower Plenty Road for $4,000, to permit the relocation of the entrance road. 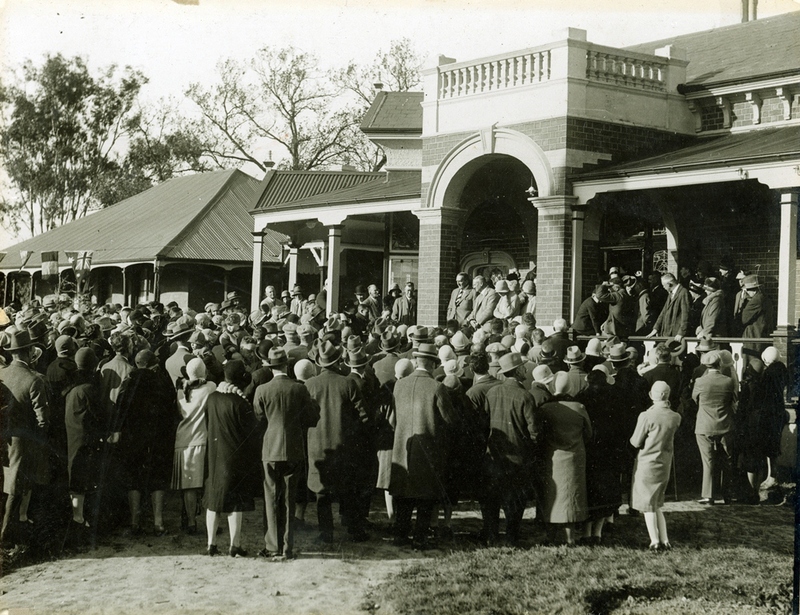 Many members and friends gathered at the Heidelberg Golf Club to celebrate Arbour Day on 18th September, 1927. Many trees were planted in areas directed by the course designer to mark the day and aid in the preperation of the new Links. Many additions, alterations and improvements have been made to the Clubhouse over the years, so much so that little of the original 1880’s homestead (pictured right) remains today. However, what remains of the “Bryn Teg” is listed as a heritage building and should be preserved. The beautiful coloured lead-light windows in the Bryn Teg room alcove. The decorative tiled fireplaces in the sitting room and Bryn Teg room. 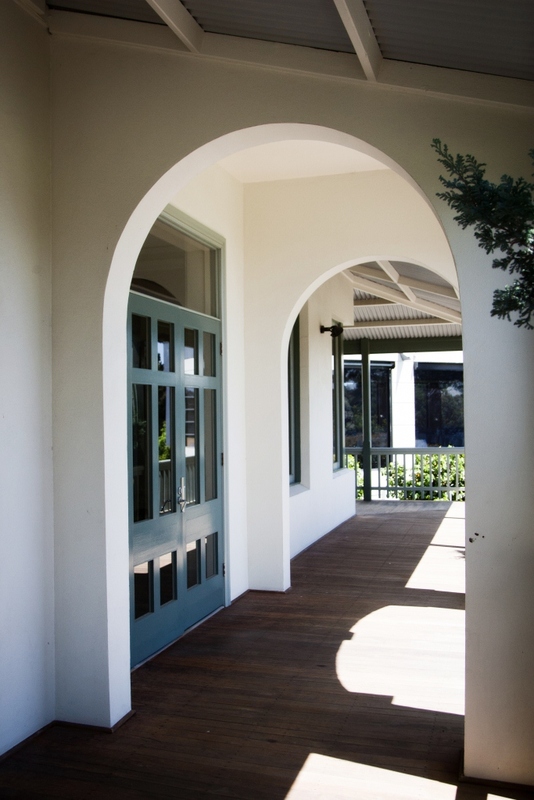 Outside the imposing turreted porch way entrance with steps to the original homestead. The slate roof with the majestic chimneys. All wonderfully preserved relics of the past. 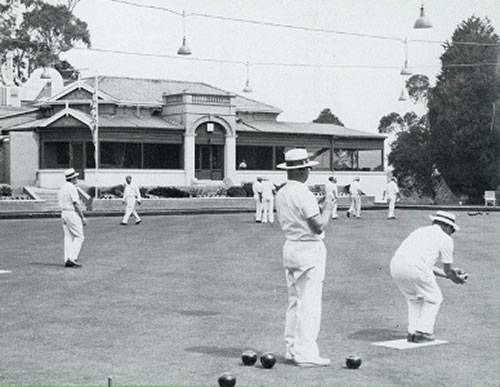 The Bowling Green was officially opened by the State Minister for Housing, the Honourable Abram Landa, on November 8th, 1958. The purpose of the green was to retain membership of the older brigade who found the hills on the course difficult, especially during the warmer months. It proved an immediate success both socially and financially. In 1959 it was decided to join the Royal Victorian Bowls Association, thus forming a Club within a Club, and the Club did not have to wait long to achieve some success in Pennant competition. In 1992 (circa) a decision was made to replace the old grass green with an artificial turf surface. When it became due for replacement in 2006/07 this caused some consternation among some golfing members due to the significant cost at a time when the Club’s finances were not strong. In the end it was agreed to fund the cost of the replacement green, being $131,000 (ex GST), by way of a debenture offered to members which raised $60,000, donations to the Australian Sports Foundation raised $6,000, a contribution from the bowling club of $40,000 and the balance of $25,000 was provided by the golf club. 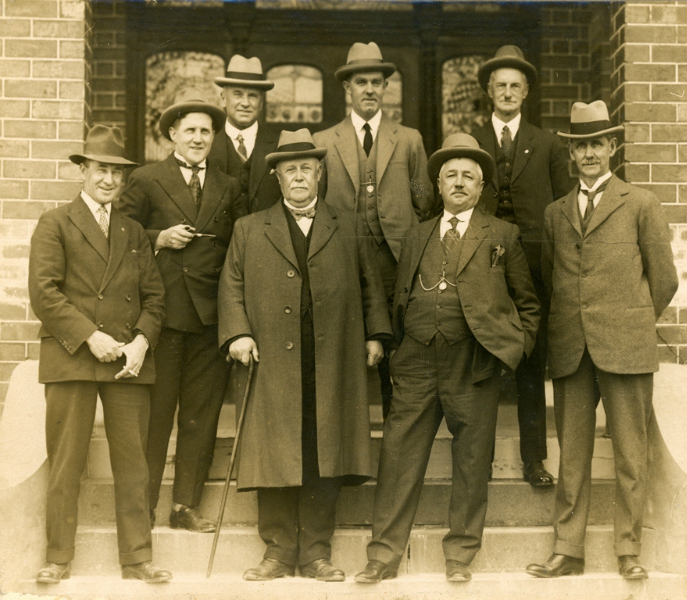 The first meeting of the Golf sub-committee of the Heidelberg House Company met on March 1st, 1928. A number of issues were discussed including the setting of fees and the types of membership categories to be available. 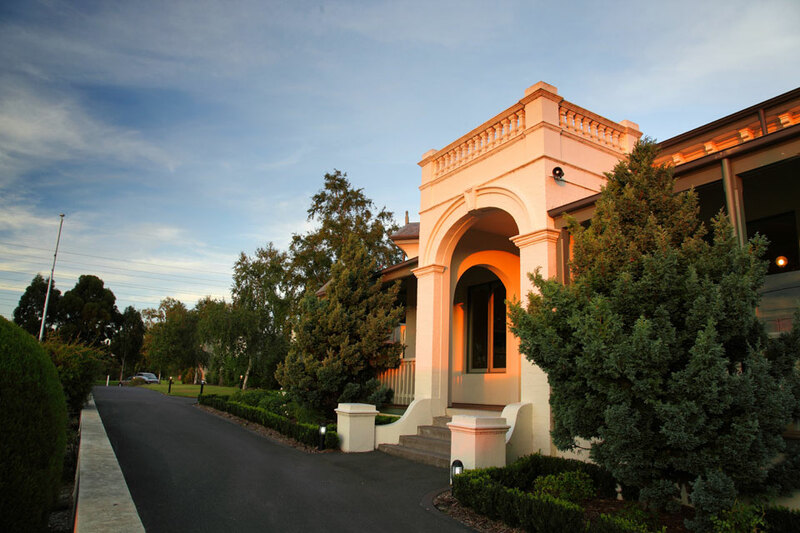 On April 26th, 1928, Heidelberg Golf Club was admitted to the Victorian Golf Association, and the Heidelberg Golf Club Co. Ltd. was founded on May 1st, 1928. 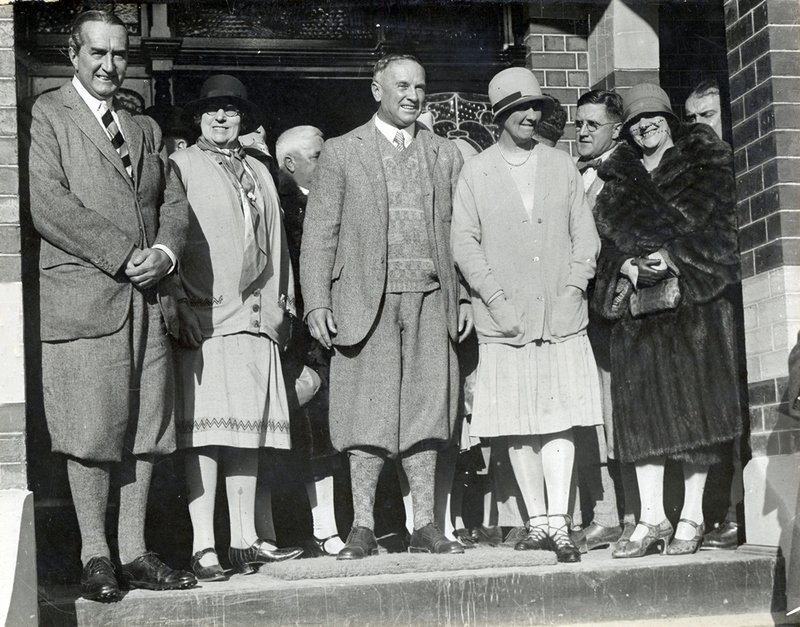 The Heidelberg Golf House Co. Ltd. Directors at the time (pictured right) were; back row from left: J.H. Sharwood, A. Price, Dr. Kent Hughes. Front row from left: J.A. Terdich, W. Hooper, Col. Gerrard, D.J. Chandler and the Secretary JH. Knell. 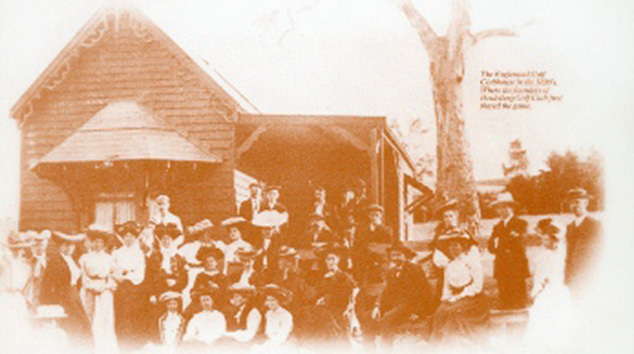 The first Directors of Heidelberg Golf Club Co. Ltd. were named as J.H. Sharwood (President); A.W. Shands (Captain); W. E. Hooper (Vice-President); J.S. MacCulloch (Hon Sec). The Committee were; A.E. Appleton; R. Broadhurst; D.J. Chandler; M.E. Daly; G.S. Gray; Dr. E. Heffernan; W.R. Howe; J.H. Knell; H.H. Olney; A.H. Price; J. Alex Terdich; F.S. Wright. The Club obtained a lease of the property from the Heidelberg Golf House Co. Ltd. for the sum of approximately £800 per annum. By Saturday June 1st, 1928, the first twelve holes were ready for play. 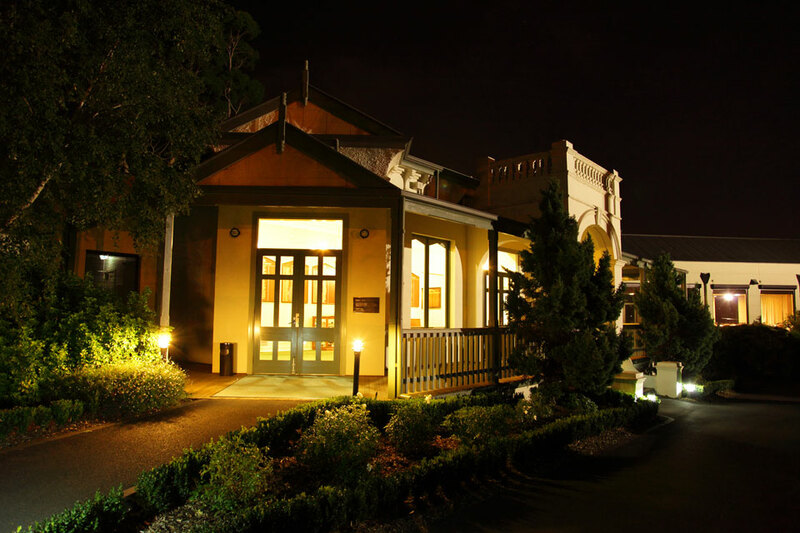 On the previous Friday night, the President, Mr Sharwood, gave a dinner at the Golf Club Hotel for the members of the Golf committee. 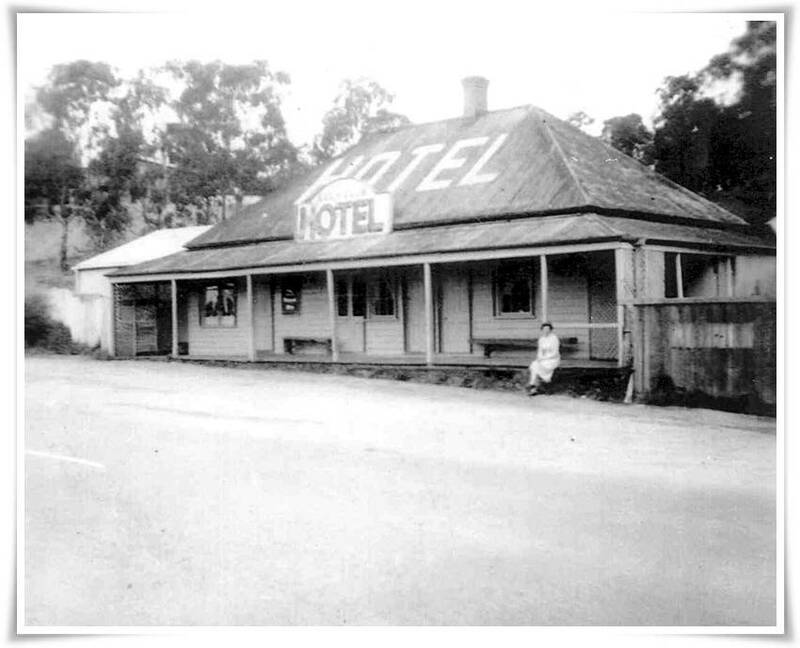 In 1928 the Plenty Bridge Hotel was the 19th Hole, it was owned by the Heidelberg Golf Club House Co. Ltd., the business conducted by a Licensee. The trading hours of 9am to 6pm rather restricted the drinking habits of the golf members even though after hours trading was available on most occasions. As an insurance against a drought, a cellar under the Clubhouse dining room floor was used as a cool room for bottles under a locker system, very successfully. In 1934, the later part of the depression, the Club finances were strained to near insolvency. The late Frank Norris, Captain of the Club, having in mind improved finances and the salvation of the Club, recommended to the Committee that a Club Licence be obtained. To his surprise it was met a very hostile reception, although later on the Committee approved the recommendation. 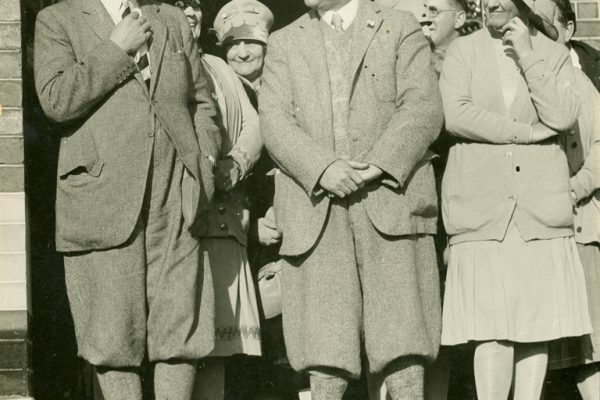 Mr. Norris, along with the assistance of Mr. Allan Hughes, Honorary Solicitor and later Captain of the Club, was successful in purchasing and transferring the Stony Creek Farmers Club Licence to the Heidelberg Golf Club. The story of how the Club Licence was obtained is well worth telling. Firstly, at that time the Court would not grant a new licence, also a transfer had to be ratified by them and only in very exceptional circumstances. Now the story; the Stony Creek Farmers Club desired to sell their licence for the sum of £1100 – this amount was raised from the Heidelberg Golf Club members by the issue of debentures and an option to purchase obtained. Five of the ten Stony Creek Farmers Club committee resigned. The five remaining then elected five Heidelberg Golf Club committee to the Stony Creek Farmers Club committee. The five remaining Stony Creek Farmers Club committee then resigned thus leaving all five on the committee from the Heidelberg Golf Club. 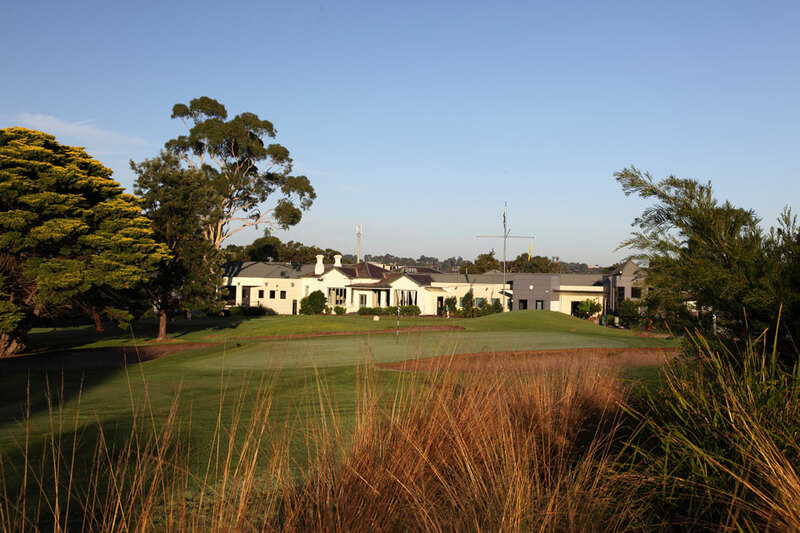 The five remaining committee members, all Heidelberg Golf Club members, then elected a further five from Heidelberg Golf Club, thus the Stony Creek Farmers Club committee was comprised of ten from Heidelberg Golf Club who controlled the Licence. To satisfy the Licencing Court the ten all resigned from the Heidelberg Golf Club. 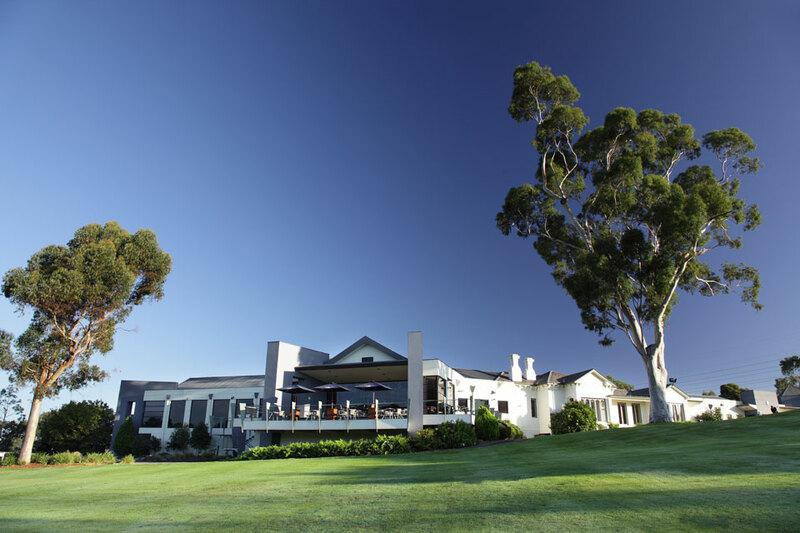 All the members of Heidelberg Golf Club resigned and joined the Stony Creek Farmers Club. 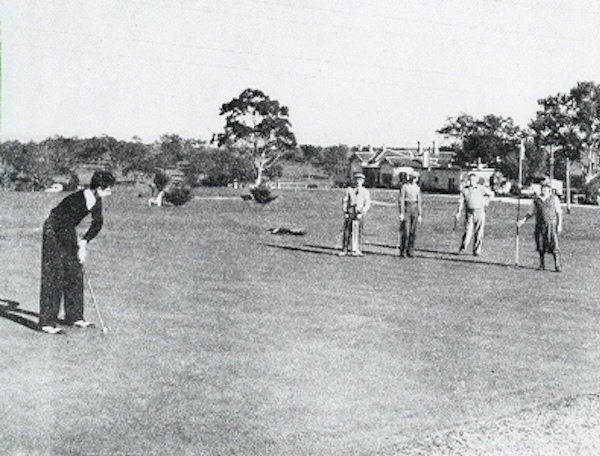 For a short period of time the Heidelberg Golf Club was now non-existent. 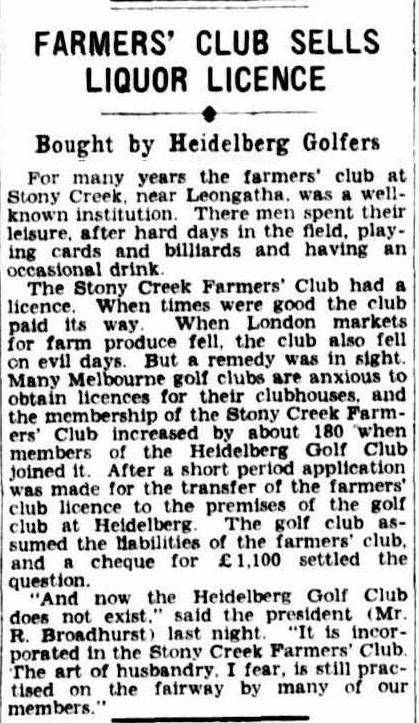 Application was then made to change the name of Stony Creek Farmers Club to Heidelberg Golf Club, which was successful. The court then ratified an application to transfer the licence from Stony Creek to Lower Plenty. 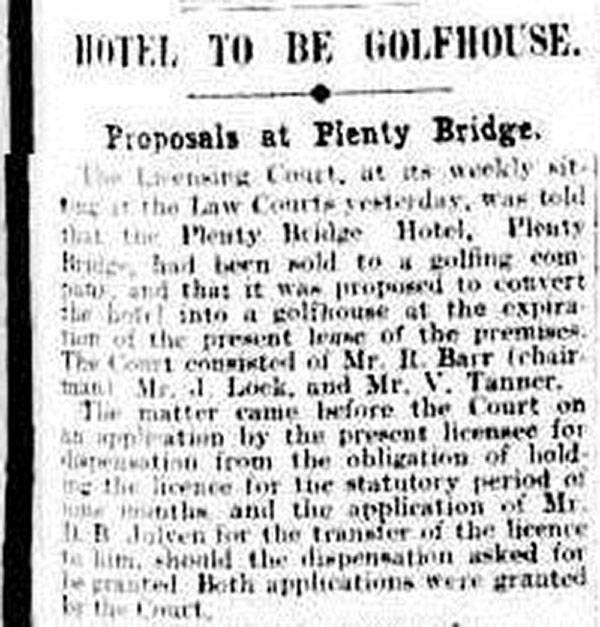 “The Licencing Court, at its weekly sitting at the Law Courts yesterday, was told that the Plenty Bridge Hotel, Plenty Bridge, had been sold to a golfing company, and that it was proposed to convert the hotel into a golfhouse at the expiration of the present lease of the premises. The Court consisted of Mr. R. Barr (chairman), Mr. J. 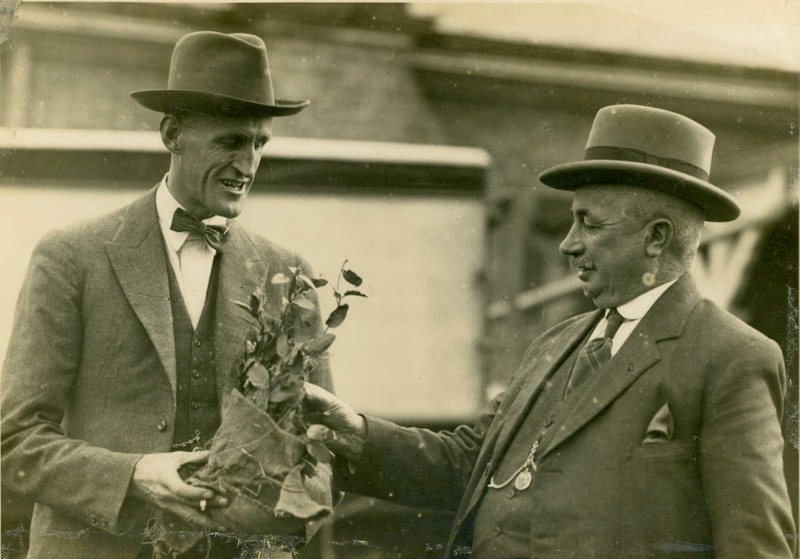 Lock and Mr. V. Tanner. The matter came before the Court on an application by the present Licencee for dispensation from the obligation of holding the licence for the statutory period of nine months, and the application of Mr. D.B. Julven for the transfer of the licence to him, should the dispensation asked for be granted. Both applications were granted by the Court”. 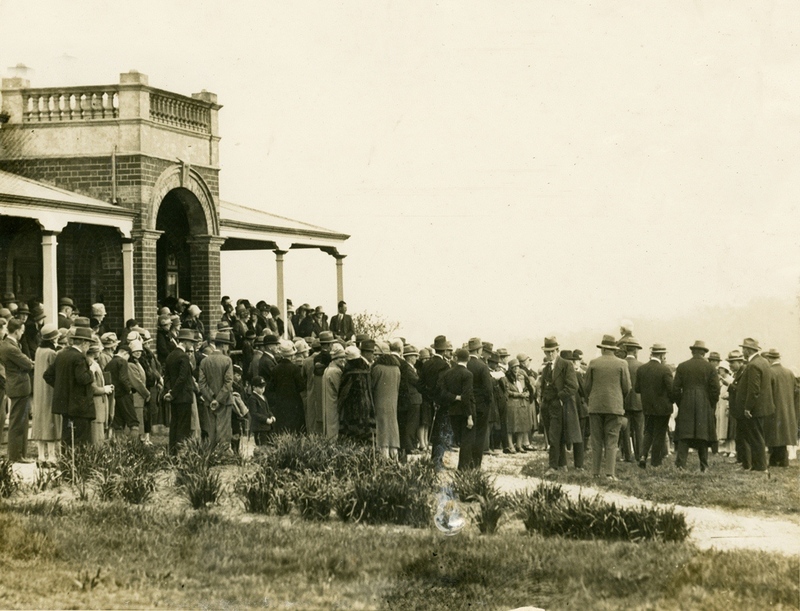 That is how in 1936 the 19th Hole at Heidelberg Golf Club came about, thanks to the late Frank Norris and Allan Hughes who at a later date were both elected Life Members of the Club. Tradition at Heidelberg, “No man shall drink on his own”, “let us drink the Club into prosperity”, has been transferred from Member to Member over the years, and like Old Port they are improving with age. 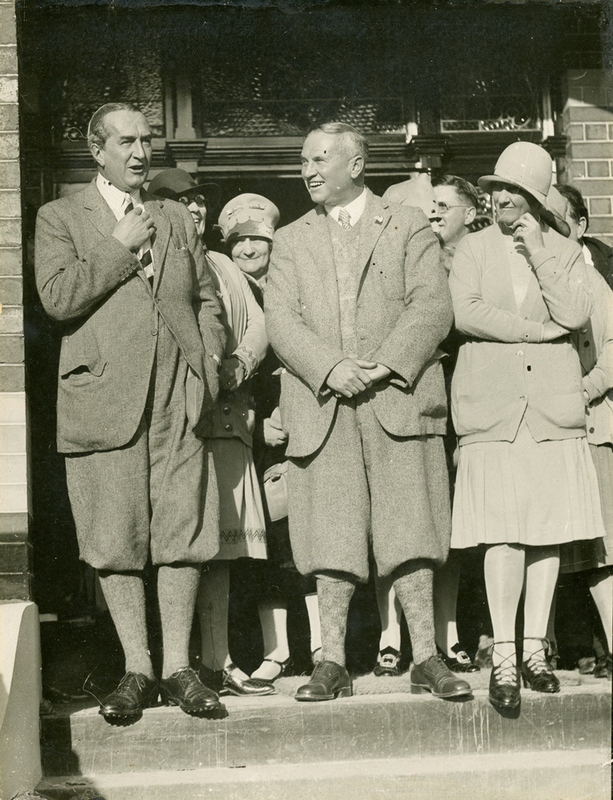 The Purse was played in memory of Don Walker (pictured left – putting) who was the Club Professional in the late 1930’s. He paid the ultimate sacrifice in World War II (1939 – 1945). 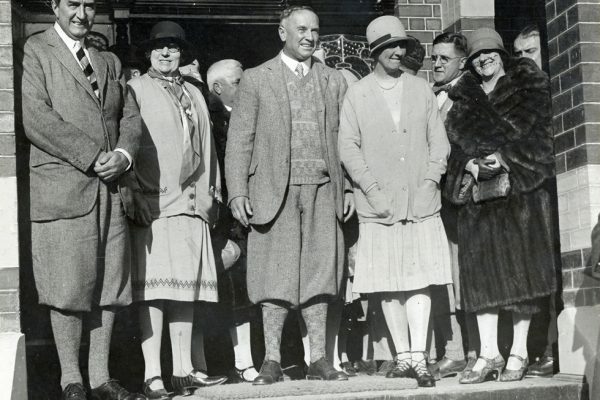 The event was first played in 1949 by members of the Professional Golfers Association, their wonderful support was very much appreciated by the Club. 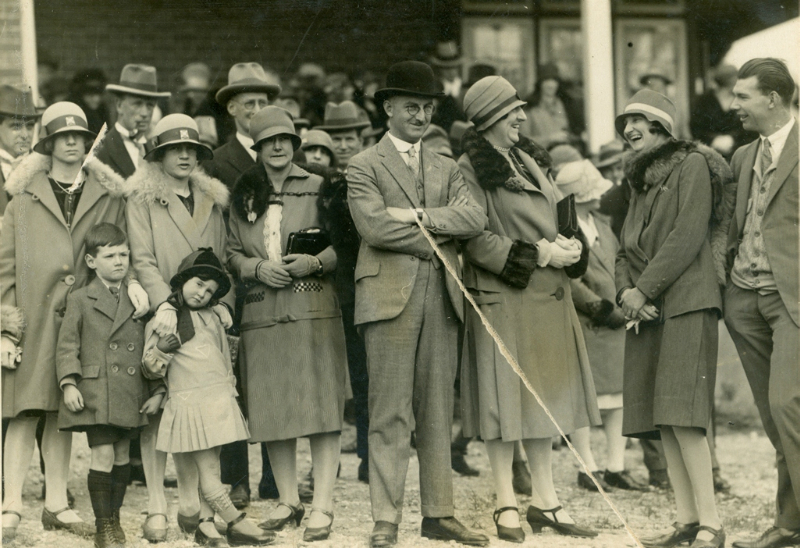 The first winner was W. Smith (Kew) with a score of 76, 72 – 148, and prize money totalled £100. Many famous professionals have won this event over the years including; E. Naismith; H. Pickworth; J. Harris; W. Fowler; P. Mills, Ian Stanley, Stewart Ginn and Brett Officer. The event was conducted annually until 2001, and winners names recorded on a board in the clubhouse and a perpetual cup donated by Norman Von Nida. The Purse was not played between 2002 – 2010 due to other priorities and sponsorship being difficult to obtain. 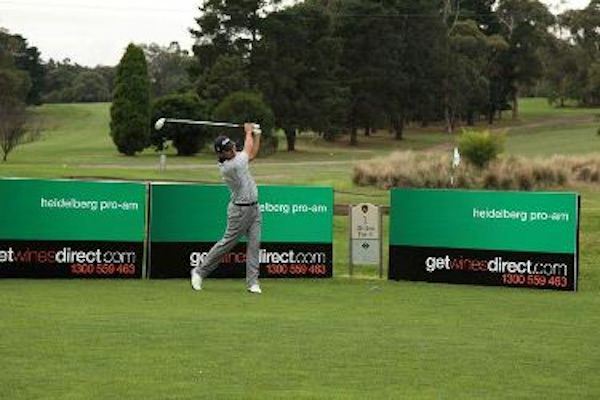 In 2011 the event was reinstated as the Heidelberg Pro-Am, largely due to the efforts of long serving member and Collingwood FC legend Tony Shaw, who through his network of contacts in television and radio and the football industry managed to secure enough sponsorship to offer a professional prize purse of $15,000. Many Heidelberg members supported the Pro-Am with much enthusiasm and excitement after a gap of 10 years since a professional event had been played at the Club. 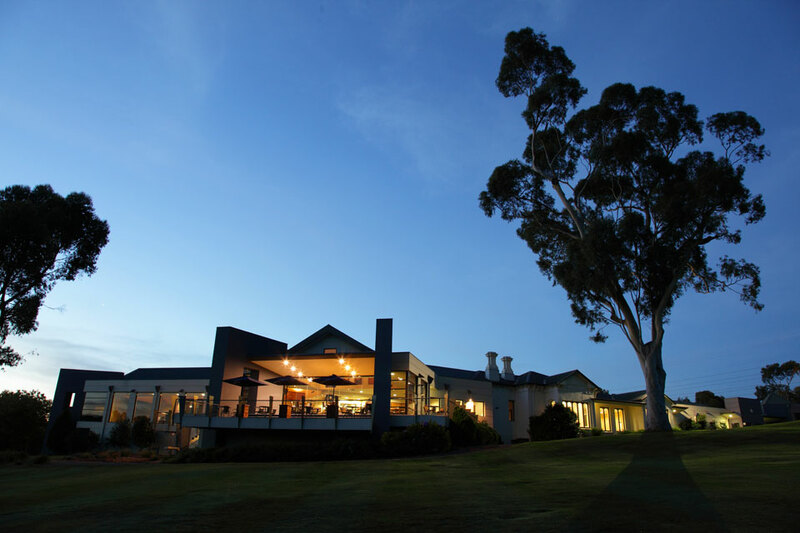 The Pro-Am continued to receive significant financial support from GetWinesDirect, a number of generous members and local businesses to offer an increase in the professional purse to $20,000. Typical of the member’s enthusiasm for the event, a small army of volunteers turned up on the day to help with all manner of tasks to ensure the success of the event. 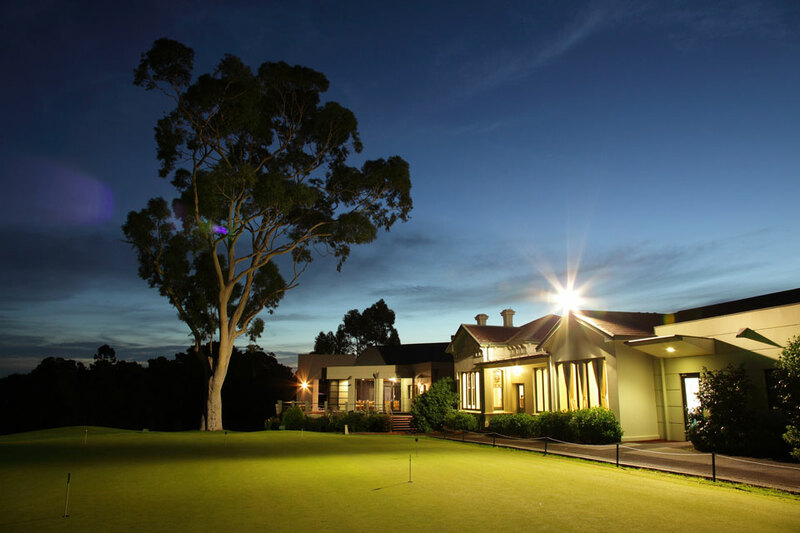 Fittingly, the Heidelberg Pro-Am was voted by the competing professionals as Pro-Am of the year at the 2012 and 2014 Victorian Golf Industry Awards in the $20,000 purse category. The Pro-Am is scheduled to be played early every year and looks set to continue the tradition of the original Don Walker Purse for many years to come.